The French involvement in the American Revolution is well-known, even by young school kids. However, the American involvement in the French Revolution and its effect on a hidden corner of Pennsylvania is little-known even in France. That is, until now. Much like the American Revolution, the French Revolution was partially the result of taxes brought on by war debt. However, in the case of France, it was the debt they accumulated helping the United State during our revolution that created this burden on the French citizens. For a variety of reasons, though, the United States did little to help the French aristocrats during their time of need. However, that doesn’t mean that the United States did nothing. Several prominent Philadelphians, including Robert Morris and Steven Girard, were sympathetic to the French aristocrats and saw a chance to both help them and profit financially. 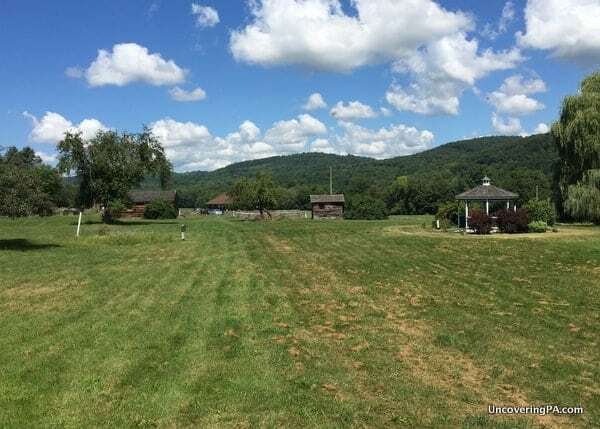 They bought a large tract of land in Luzerne County (now Bradford County) along a bend in the Susquehanna River. 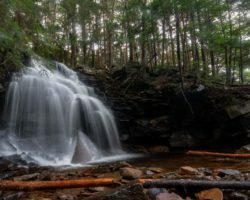 They cleared wilderness from roughly 300 acres and set up an entire community, including a town square, shops, a chapel, and even a distillery. The community came to be known as French Azilum. 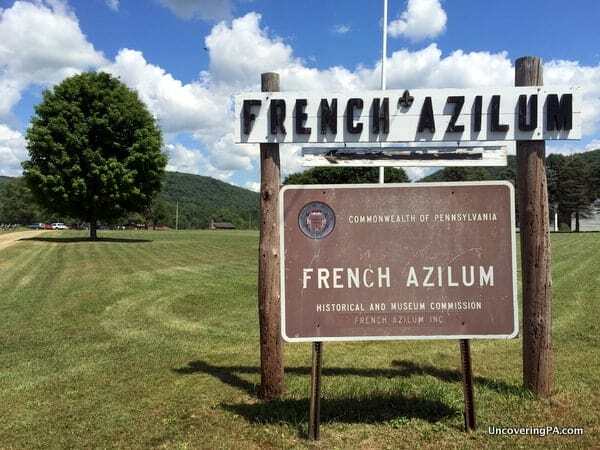 The entrance to French Azilum near Towanda, Pennsylvania. There was also a large home built, called “La Grand Maison,” which was said to have been built for Queen Marie Antoinette and her children, had they been able to escape France. 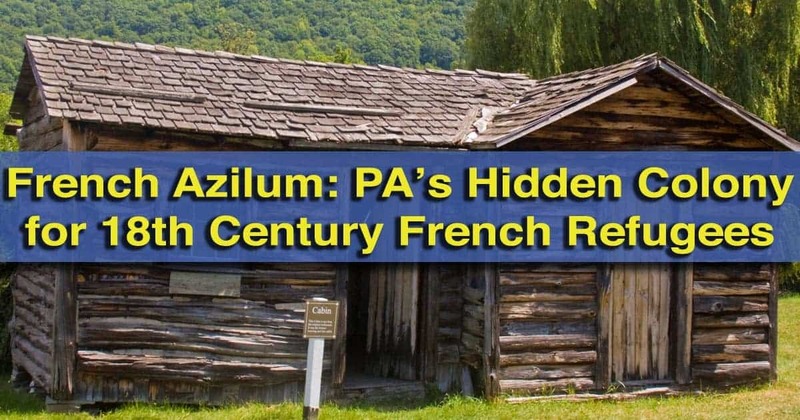 All told, French Azilum was designed to accommodate hundreds of refugees from France. Settlers started coming to the settlement in the fall of 1793. The community grew and prospered for several years. While Marie Antoinette was unable to escape France and went to the guillotine, her home was used by the French settlers for lavish parties and to host dignitaries. The most famous visitor to Azilum was Louis Philippe, who visited in 1796 and would later become the last king of France. However, the settlement of French Azilum was short lived. In the late 1790s, settlers began to move to other, more established areas of the country like Charleston or New Orleans. And, by 1803 when Napoleon declared amnesty for French aristocrats, there were no more refugees at the settlement. The abandoned settlement quickly fell into disrepair and by the early 1830s, very little remained of French Azilum. It was then that John Laporte, Speaker of the Pennsylvania House of Representatives, decided to build his home on the site. Laporte’s father, Bartholomew Laporte, had been one of the leaders of French Azilum and the younger Laporte was even born in La Grand Maison while the family was living there. Laporte built a grand summer mansion just steps away from where La Grand Maison had stood. 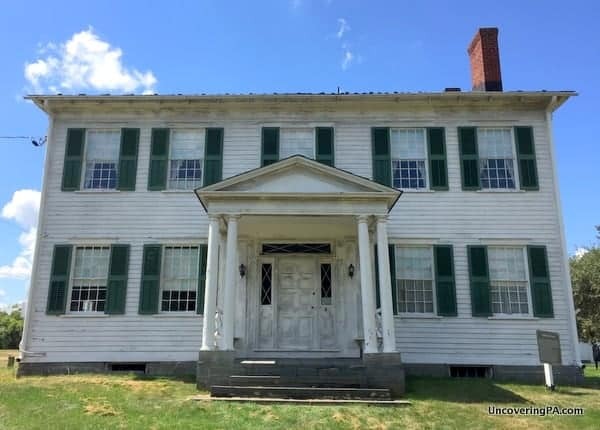 The home was beautifully decorated on the inside, and its location near the banks of the Susquehanna River made importing furniture and other luxuries relatively easy. 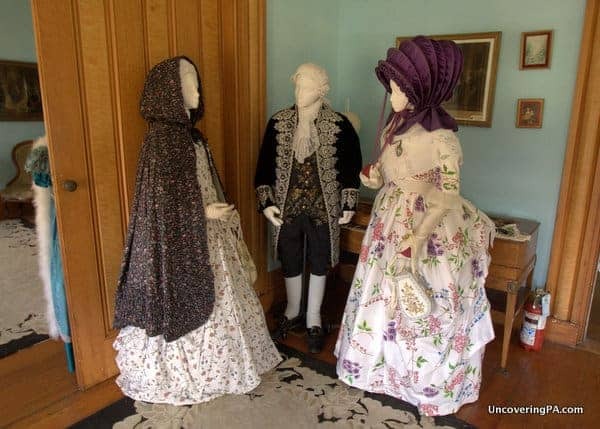 In all, the Laporte home lasted much longer than the settlement, remaining a private home for 150 years, before being taken over by the Pennsylvania Historical Museum Commission. Today, tours are given of the home and the unique grounds of French Azilum. The Laporte Home was built in the 1830s and is the largest building on site. Next to nothing remains of the 1,600 acre settlement. In fact, the current site is only around 20 acres in size. However, the uniqueness of French Azilum makes this a fascinating place to see. 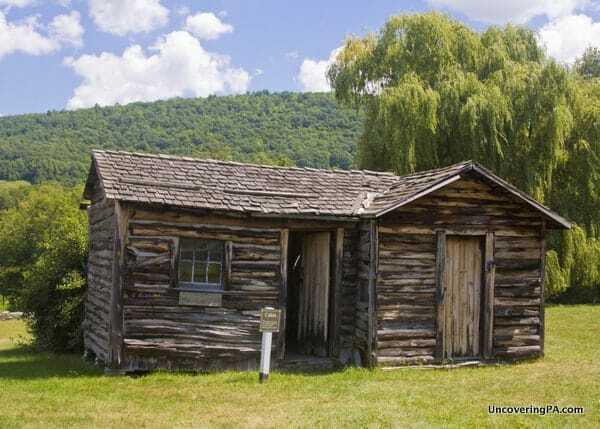 Visits to the site start in a reconstructed 1790s log cabin. A few cabins like this have been constructed on site and give visitors a chance to better understand what life was like at French Azilum. 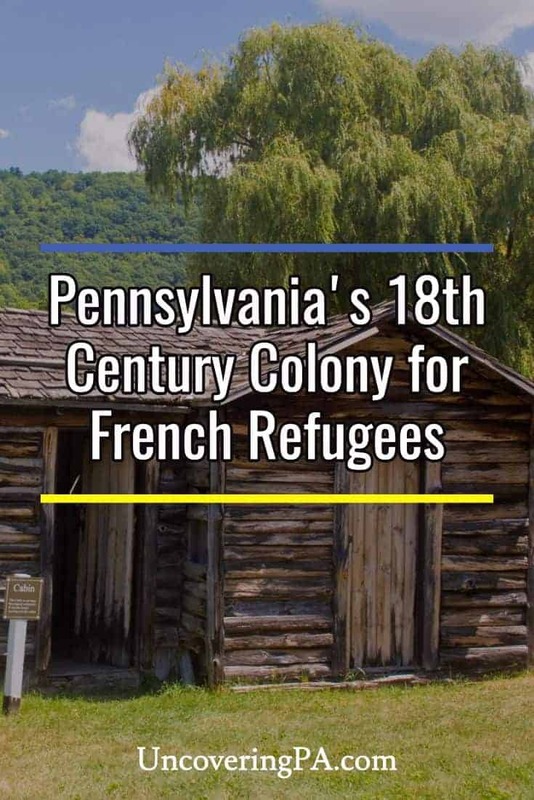 If you’ve ever been to France, or can even conjure up an image of what life is like there, you’ll quickly understand how shocking it must have been for these wealthy French aristocrats to come to this forgotten corner of Pennsylvania. It’s not entirely surprising that many quickly left for larger cities with French-speaking populations. Inside the cabin, visitors can watch a 15 minute video about the site’s history that was made by a local high school class in the early 1990s. While this might sound like a recipe for a really poorly done film, I actually found it to be quite well executed and very informative. Also inside this log cabin are items that have been uncovered during excavations of the site. While additional signage might have been helpful to put the pieces in context, it was very interesting to get more of a glimpse into life at French Azilum. Outside of the small items found during excavation, there are only two large pieces of the original settlement remaining. The first is the foundation of a wine cellar. While looking at the cellar, I chuckled a bit. The French settlers loved their wine so much that they made the storage area the most lasting part of the community. The other original piece is a large grist mill stone laying on the ground outside of the Laporte Home. The highlight of any trip to French Azilum is taking a tour of the large home built by John Laporte. Inside, the home combines authentic pieces from the Laporte family with both authentic and reproduction pieces related to French Azilum. Walking through the home, it’s very interesting to see how a prominent family of the time would have lived along the Pennsylvania frontier. Reproduction French clothing shows what settlers would have worn. The second floor also holds a small room with historical records of the settlement. Those looking for family members who may have passed through French Azilum will find everything they need in the home. 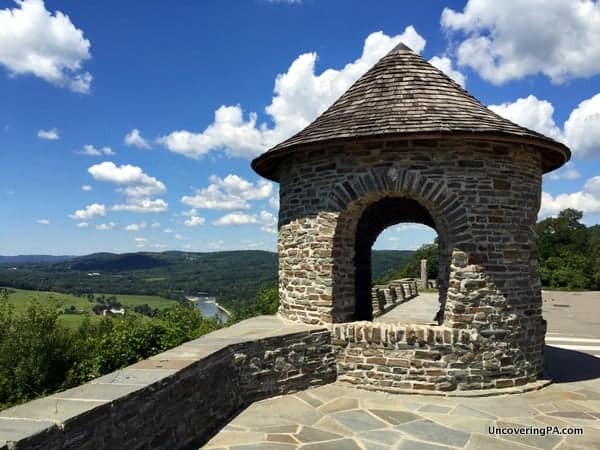 Once you are ready to leave French Azilum, make sure to take a drive across the Susquehanna River to the Marie Antoinette Overlook. While you can see the overlook from Azilum, it takes about 20-25 minutes to drive here because there is no convenient way to cross the river. However, the view is worth it. The Marie Antoinette Overlook was built in the 1920s when Route 6 was being routed through the area. The overlook was improved by the Civilian Conservation Corps in the 1930s when they added the walls and towers that you see today. The walls and towers at the overlook are beautiful by themselves. Looking out over Bradford County from the beautiful vantage point, you can make out what remains of French Azilum. In fact, despite its small size today, the entire area of land along the bend in the Susquehanna was at one time part of the settlement. 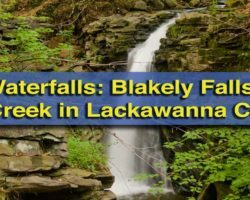 If you have a chance, the free audio tour available here has some interesting information on the colony and the entire Wyalusing Valley. Signs at the overlook contain all the information you need to dial in. A panoramic shot from the overlook of the valley where French Azilum once stood. Overall, I really enjoyed my experience at French Azilum. To be honest, I was a bit surprised at how little was there, and it does require some imagination to fully understand what life was like in the settlement. If you are the kind of person who really needs to physically see the buildings being talked about, you might be disappointed by the site. However, if you use your imagine and take some time to fully understand the amazing events that occurred here, I thoroughly believe that you’ll come away with a great appreciation for French Azilum. Note: My visit to French Azilum was hosted by the museum. However, the opinions expressed are my own. Enjoy historical destinations like French Azilum? Add the Bradford County Museum to your itinerary. 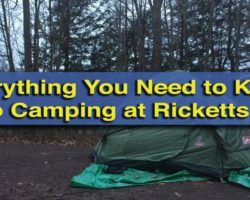 Rather stay outdoors? 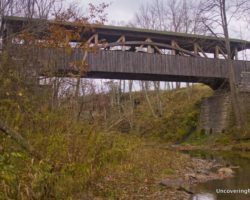 Mount Pisgah State Park and the last covered bridge in Bradford County are also close by. Thanks, Jonny! 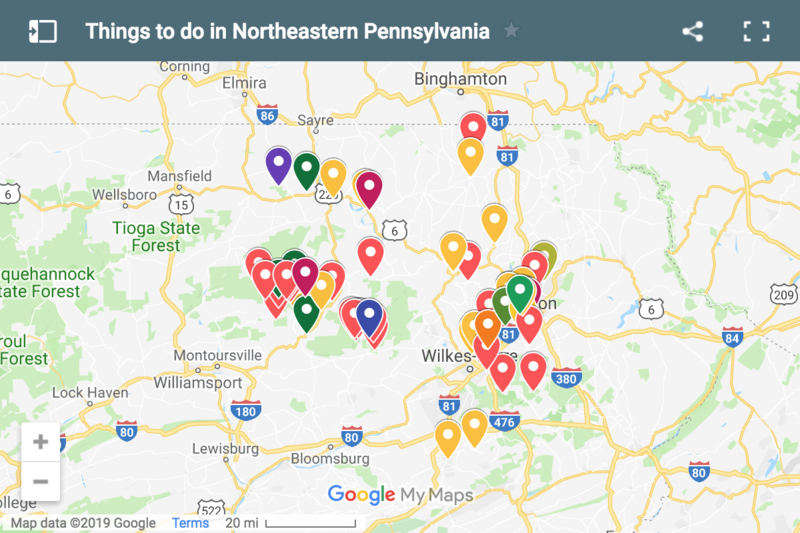 There are a lot of amazing places to visit in Pennsylvania both in and outside of the major cities. Hope you make it this way sometime soon. You need to understand your history a lot better before you write again on this subject. France had debt incurred from Louis XIV’s lavish spending on the Palace at Versailles and the various wars undertaken by other kings. The funding for France’s involvement came largely from Marquis de Lafayette’s family. Gwoody, There were certainly more reasons than just wars to account for the French debts, which I indicated in the article. However, according the multiple sources that I looked at, one of the causes of French debt was helping the Americans in the Revolutionary War and fighting against the Americans in the French and Indian War. I take great care to make sure my articles are historically accurate. Enjoyed your article very much. And I also enjoyed my visit there several years back. Wasn’t there a Spanish colony started in the 1800’s north of Williamsport to serve the Spanish royals? Jim, this was absolutely fascinating. I had no idea. After reading about the “French Aristos” in PA, I looked around a bit more – especially in Philadelphia. Having lived in that area a good part of my life – I loved how you took us into the less familiar streets and showed us things about the city we might not have ever known. Your sight is brilliant. I only wish we had an “Uncovering” site for all of our states. Imagine how much help that would be. Thanks for loving what you do – it’s evident.